As a scuba diver, I’m always happy to dive at beautiful dive sites, with the marine environment well preserved and full of life, that’s why I was really interested in visiting the Coral Triangle Center in Sanur, Bali, to find out more about their work to preserve the corals and the marine environment. I was introduced to the business development officer, Lyris, who welcomed me and took the time to show me the Center and to explain to me a lot about their work. From 2010, the Coral Triangle Center was registered as an independent foundation, and from that year, their focus is to educate people, not only divers or snorkelers, in how important it is to protect the corals in Indonesia, but also in the Philippines, Malaysia, Papua New Guinea, the Solomon Islands and in Timor-Leste, which are the countries that make up the “Coral Triangle”. The center is finding many ways to do it, by organising or participating in events (like beach and underwater clean up days), assisting the Nusa Penida Marine Protected Area management and also educating children by using Wayang Samudra. 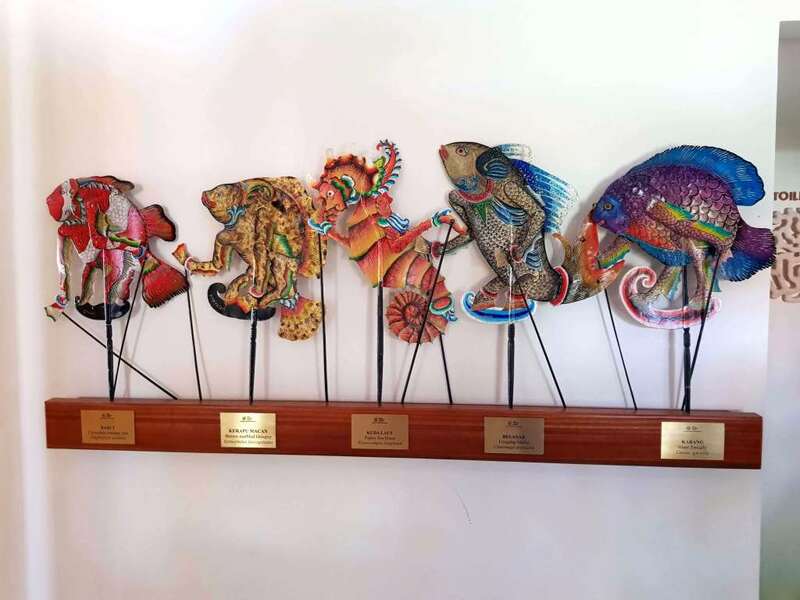 Wayang Samudra are puppets in the shape of marine life species, and that’s one of the best way to make the children understand the importance in conserving the marine environment in an entertaining way. They are exhibiting the beautiful Wayang Samudra in their Center, so I could see them during my visit. 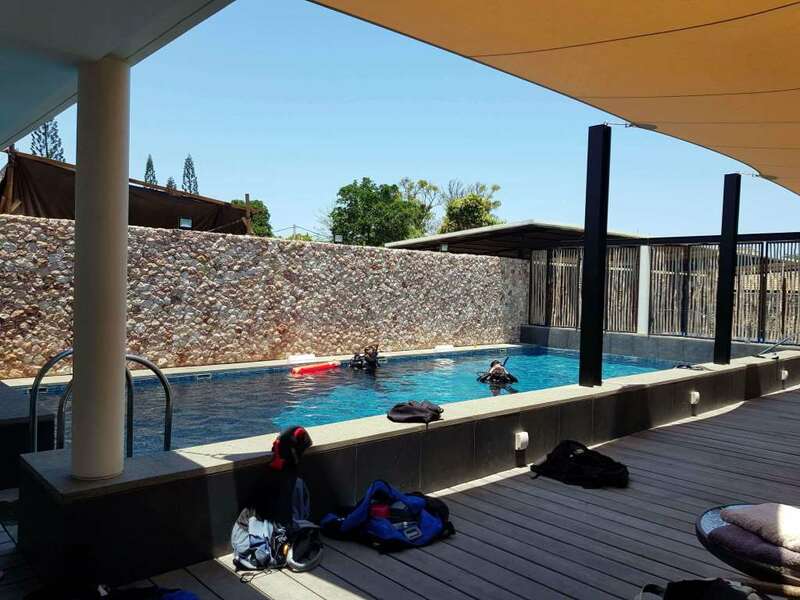 They just opened a center in Sanur and they are currently expanding their facilities to accommodate more fun and educational activities, like a big pool, which is the deepest of Bali with a 4.5m deep, that’s where the future PADI diving Instructor come to pass their exams. They also have two conference rooms to welcome the different classes. 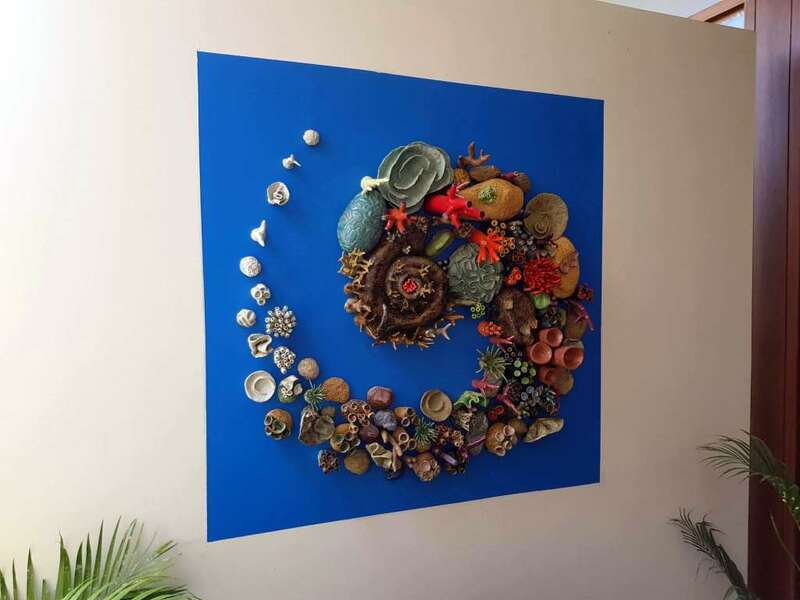 The center has a partnership with the renowned ceramic artist Courtney Mattison and the ceramic company Jenggala and BPPT-BTIKK based in Bali to create an immense wall of ceramic corals (that will be 18×2.5m) which would be visible to the guests by the end of October. As Lyris told me, it’s a great way to represent corals, beautiful and colourful but in the same time, really fragile. In this center, they also opened the first Escape game based on coral preservation, which I’m really excited to try really soon! I would like to thank Lyris for the great visit and the time she took to explain me all of the important work the Coral Triangle Center is doing.